Are you having problem with your data storage, Does your 1 Terra data storage is not enough for the massive downloaded files from torrents and rapidshare ? 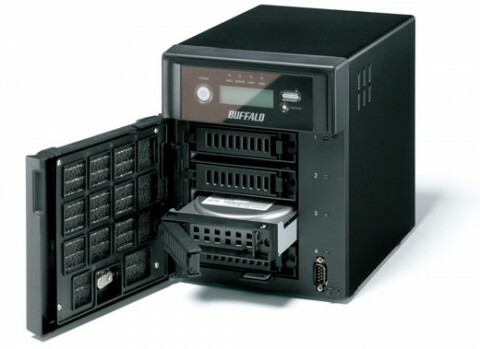 I think Buffalo has an answer for you with an option of 2TB and 4TB but it will cost you for a total price of $1,599.99 and $1,999.99, respectively. which is way way far from my budget, I don’t know about yours. For it will be better to buy 4 nos of 1 GB Western Digital . The only advantage is it have four quick-swap SATA hard drives, Windows Storage Server 2003 R2 Express Edition and native Active Directory support.